During swim season and this Fourth of July holiday weekend, the YMCA of the Greater Twin Cities (YGTC), a leading nonprofit dedicated to strengthening communities through youth development, healthy living and social responsibility, encourages children and parents to explore the many benefits of swimming while also keeping safety top of mind. Although the natural landscape is full of beautiful lakes, enjoying the water isn’t without risk. According to the American Institute for Preventive Medicine, drowning is the second leading cause of accidental death in the United States among children under 14 and the leading cause of accidental death for children age 5 and under. 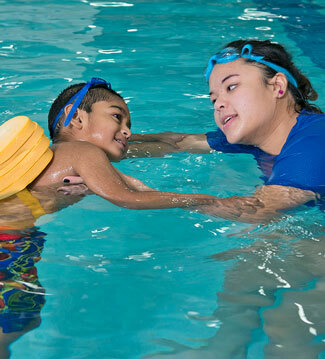 In addition to learning lifesaving water safety skills, children can increase their physical activity by swimming. Also, swimming motivates children to strive for self-improvement, teaches goal orientation and cultivates a positive mental attitude and high self-esteem. Swimming teaches life lessons of sport and sportsmanship so that children can learn how to work well with teammates and coaches and how to deal with winning and losing. As a leading nonprofit committed to youth development, the YGTC has been a leader in providing swim lessons and water safety for more than 100 years. The YGTC continues to help youth and adults experience the joy and benefits of swimming so they can be healthy, confident and secure in the water. There are a variety of programs to choose, including child and adult swim lessons, competitive swimming teams, water exercise and specialty classes, and lifeguard certification training. To ensure that everyone has an opportunity to participate, financial assistance is available to those in need to help cover the costs. Learn more about the YGTC’s swim programs.